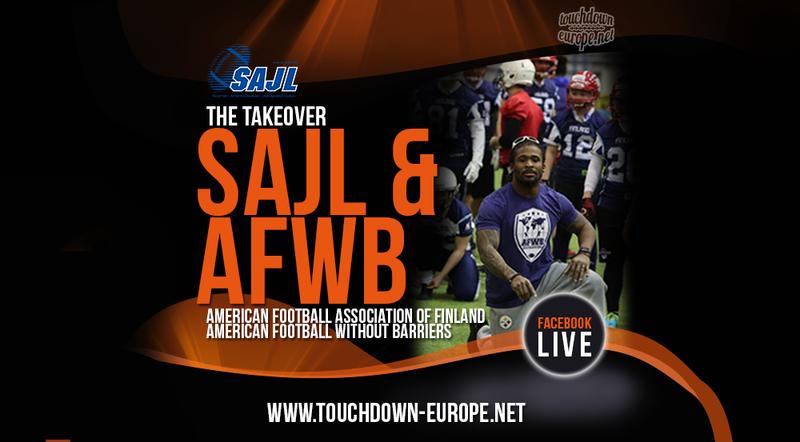 Finnish Association of American Football and American Football Without Barriers teamed up to host a big football camp for seniors and youth in Helsinki, Finland. Marianne Konster took over our Facebook page and went live from the camp where the 12 professional athletes, including All-Pro TEs Gary Barnidge and Jordan Cameron, Super Bowl Champion Barkevious Mingo, and All-Pro RB DeAngelo Williams - hosted a practice for the juniors (9-18). NFL players to arrive in Finland: Johnson Bademosi, DB/ST - Detroit Lions; Gary Barnidge, TE - Cleveland Browns; Kevin Hogan, QB - Cleveland Browns; Jordan Cameron, TE - Miami Dolphins; Alex Mack, OL - Atlanta Falcons; Ben Garland, OL - Atlanta Falcons; Marshawn Lynch, RB - Seattle Seahawks; Cooper Helfet, TE - Oakland Raiders; Oday Aboushi, OL - Houston Texans; DeAngelo Williams, RB - Pittsburgh Steelers; Zach Mettenberger, QB - Pittsburgh Steelers; and Barkevious Mingo, LB - New England Patriots. Full video and highlights under.